Do you dread the thought of renovating a room in your home? Where to start? Who to hire? What will it cost? Investing in your home will reflect the quality of your daily living. Everything is influenced by your surroundings: your mood, your comfort, your experience. Why not ensure that the place where you spend most of your time is comfortable, beautiful, functional and exceeds your expectations? As a professional designer with many years of experience I serve clients by working together with them as much or as little as they desire. Clients love the time I save them by narrowing down the choices for whatever product or furnishings they are looking for. A collaborative design process with my clients, my product resources, my installation and delivery services results in a home my clients are happy with and will enjoy for many years. For some clients, our services are an absolute necessity. I have worked with clients who are physically impaired and require changes to their home in order for them to function with ease and convenience. These clients call on me to help make the right choices to meet their needs, perform the work to make their lives easier and create spaces that allow them to live independently. Using the basic tools and principles of interior design , I can design for any style and have a special talent for historical preservation. Using my research skills , expertise and resources in the field , historic private residences can become very livable with all the modern conveniences we expect today. I recognize the value in existing collections of furniture , antiques and art . I know how to enhance the architectural details remain in your home and how to compliment them with modern amenities. Blending the best of the old with the best of the new while keeping within the guidelines of good design principles I help you create spaces you will enjoy. Custom window treatments can change a room. That's why I take pride in creating styles for windows that are unique to each of our clients homes. Over time, well constructed window fashions can save you the money and trouble of frequently replacing unlined curtains and inexpensive blinds. 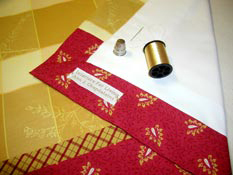 I specify appropriate linings and oversee construction in the workrooms . Beautiful drapery hardware, professionally installed, is the finishing touch. And it's not only my residential clients who can attest to the quality of my work, I have been called upon for years to collaborate with other professional designers to specify and oversee the fabrication and installation of custom draperies and window fashions for their clients. Can't find a comfortable sofa or chair? I work closely with upholserers to design and specify your furniture to feel as comfortable as it looks beautiful. I insist that you sit on several different upholstered pieces to find your personal comfort level and to make sure your sofa is comfortable for others in the family. If you have a specific piece of furniture in mind or can't find what your are looking for I can take care of finding the fabric , helping you with the design of the furniture and creating the piece you will find comfort in . My upholster is as much of a perfectionist as I am and you will be amazed how your furniture can be transformed if it needs to be reupholstered. Just email me a picture of your piece of furniture to get started . Can't find a dining room table to go with your treasured chairs or the right accent table for a certain corner of your living room? I can visit the showrooms at the Boston Design Center with you to find the perfect furniture for your home. I also have the resources to discover antique or period furnishings which can create a focal point in any home, office, or historic building. For a truly special piece, I can call on trusted craftsmen to create custom furniture for you. Your old upholstered furniture can be updated with a fresh fabric. The frame can be resized, padded differently, skirt design changed or eliminated, resulting in a totally new piece on your well made furniture frame. My upholsterer will strip the old materials from your piece down to the frame and rebuild it to our specifications and your comfort level. Your furniture will look and feel new again. I love to work with your architect or builder to find the perfect materials for your walls, floors and counters, those permanent installations that will compliment your design style and concept. What I do is to narrow the choices for you and take away the confusion since there are too many products on the market from which to choose. I can create a tile and materials color board for your builder which will specify where the various materials should be installed. Floor coverings take a lot of wear and tear from everyday living. Your special needs for children, family members and pets reflect the quality and style I specify. There are endless choices, designs, materials, and levels of quality. I can provide appropriate samples and will not stop until I find a floor covering you will love and that will compliment the design concept of your room. I can design and specify custom carpets and area rugs. Hunter Douglas Window Fashions are what some of the most beautiful windows in New England are wearing! A picture may be worth a thousand words but actions speak louder than words . For that reason, Interiors For Living has chosen Hunter Douglas as the brand of choice. They have developed new products and continue to extend their lines with more fashion forward fabrics and colors in additions to options such as cord free shades and blinds for child safety. There are motorization systems that interface with today's smart home technology, hard wired /pre-construction or battery operated remote control. Whether you are looking for blinds, shades or shutters you can have confidence in your purchase because Hunter Douglas will stand behind these products with a Lifetime Limited Warranty. My resources include a wide variety of lighting vendors so that we can find the perfect light fixture or lamp to make a statement in your room or to just provide the necessary lighting to spotlight a piece of art or fireplace wall . I collaborate with lighting designers to locate light fixtures to create the right amount of light that is needed in each area. If you have a wonderful lamp but the lamp shade is dated we can find the perfect shade to compliment both the lamp and the space where it will be placed. We can rewire old lamps and are able to design custom lamps from a wide variety of materials and shades. Art and Accessories are personal and are either the inspiration for your room or the finishing touch. If you have a collection of something you love or a very special piece of art, I can design your room around it. Pillows to add comfort and style to your furniture or bed can be fabricated in our workroom.